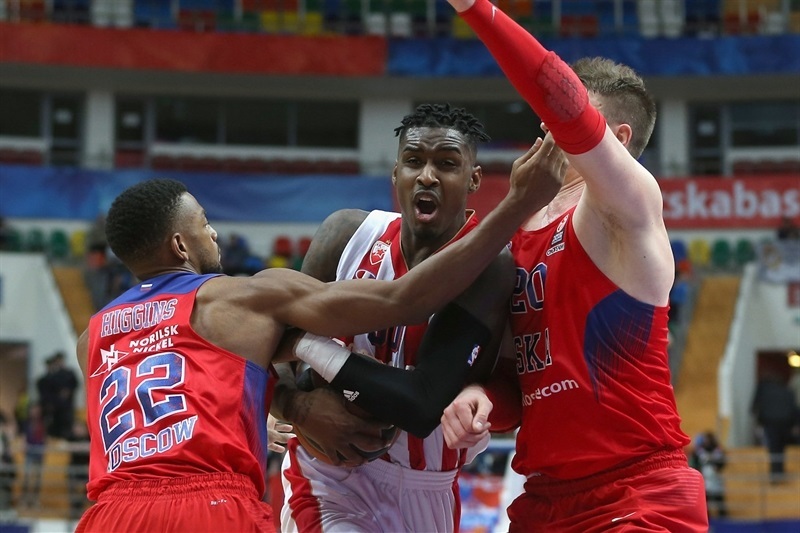 Even with Euroleague's top scorer this season held to single digits for the first time, CSKA Moscow ruined visiting Crvena Zvezda Telekom Belgrade's playoff debut by winning 84-74 in Game 1 of their best-of-five series on Tuesday. Game 2 at returns to Megasport Arena on Thursday. As soon as popped off the bench, Milos Teodosic was all over the place, fueling a 15-3 first-quarter run that put CSKA up for good. Teodosic had 15 points before halftime, but Stefan Jovic and Quincy Miller helped the visitors stay within 44-40 at that point. 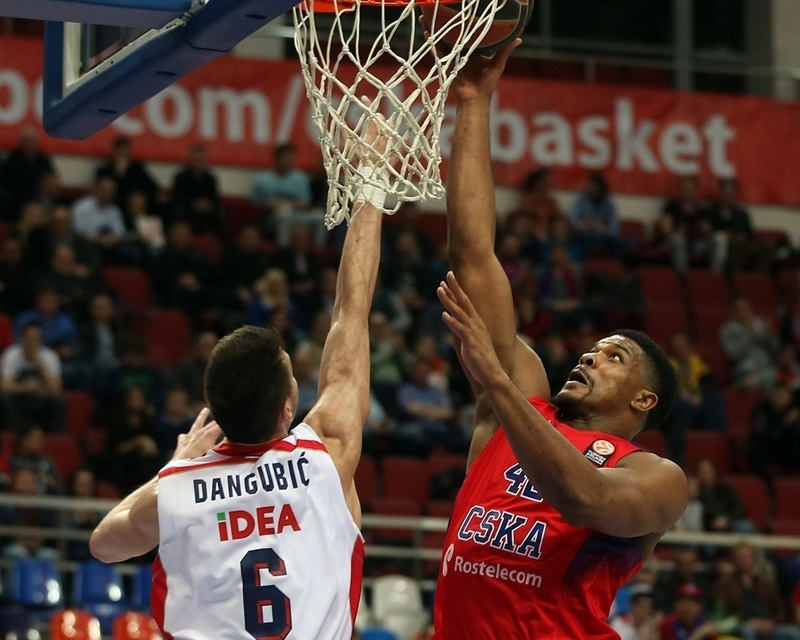 After the break, Kyle Hines helped get the margin into double figures as CSKA assumed control. 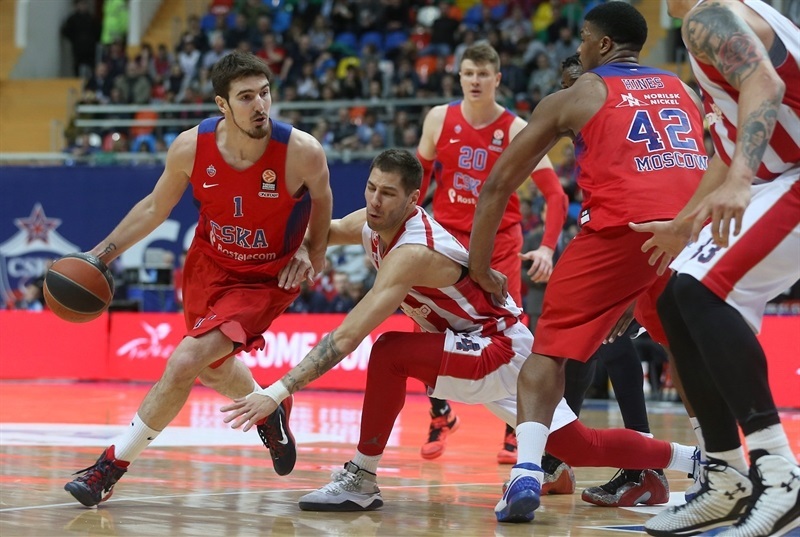 Zvezda did not let CSKA run away, and got as close again as 73-67 midway through the fourth quarter, but Teodosic and Nando De Colo fed Hines and Nikita Kurbanov for baskets that sealed the deal. Teodosic finished with 23 points, his best total in a playoff game, by shooting 4-for-5 on two-pointers, the same from long-range. He also collected 6 assists and 6 rebounds. Hines added 21 points, his Euroleague career high. 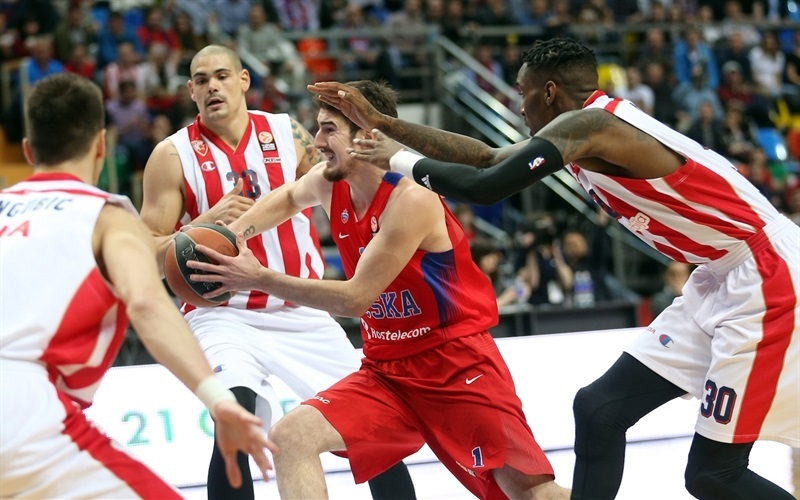 Nikita Kurbanov scored 13 more for CSKA while Euroleague leading scorer De Colo dished 10 assists to go his 7 points. Jovic and Miller had 14 apiece for Zvezda. Tarence Kinsey added 11 but the visitors were forced into 19 turnovers and could make just 11 assists against CSKA's defense. 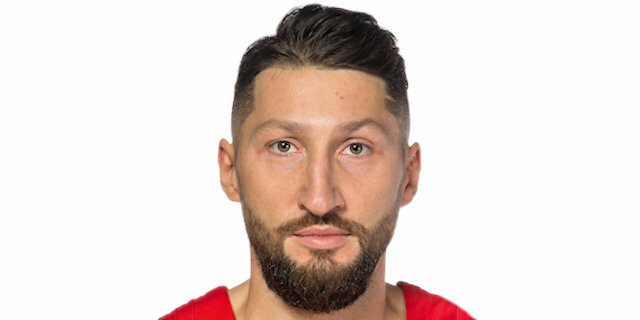 Kurbanov worked his way inside for the first points in this season's playoffs, but Miller answered with a three-pointer and Stefan Jovic followed with another for Zvezda to make it 2-6. A third consecutive triple from Zvezda, this one from Nemanja Dangubic, opened up a 2-9 lead. After a CSKA timeout, Teodosic came into the game and buried his team's first long-rang shot, after which De Colo made 3 of 3 foul shots. A fastbreak dunk from Kurbanov put CSKA back up, 10-9. Hines added to the lead by scoring a layup before Jovic nailed another three for the visitors, tying it at 12-12. Teodosic hit 3 of 3 free throws then led a fastbreak and dished a bounce pass to Hines for a layup. Kinsey and Kurbanov traded dunks, before Vasilije Micic drove to the hoop for Zvezda to make it 19-16. Hines made a layup for CSKA, and after Miller hit a jumper for the visitors, Demetris Nichols bettered it with a three-pointer at 25-18. Miller’s runner in the final second made trimmed the difference to 25-20 in CSKA's favor after 10 minutes. 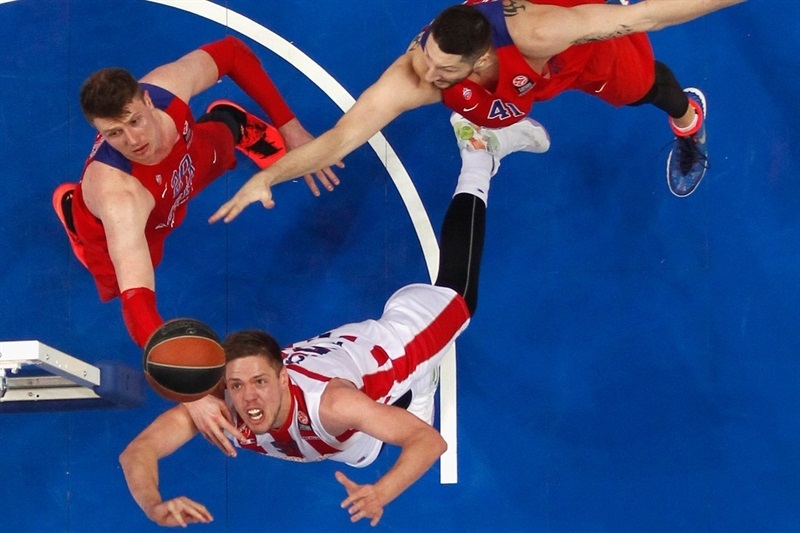 Vladimir Stimac scored inside for Zvezda to open the second quarter and Teodosic knocked down a jumper at the other end in response. Stimac fought for a put-back, and a huge blocked shot from Miller led to Marko Simonovic's fastbreak basket at 28-26. Teodosic and Aaron Jackson wouldn't let CSKA lose the lead, but Kinsey made a jumper that kept the visitors within 32-29. Teodosic nailed one from way downtown and fed Hines for a layup while Zirbes made foul shots, and Kinsey converted a three-point play to make it 37-34. Teodosic drove for a layup before free throws from Andrey Vorontsevich and Ivan Lazarev opened the biggest margin of the first half, 42-35. Zvezda called a timeout entering the final minute of the quarter, after which Dangubic knocked down a three-pointer. Kurbanov answered, finding a way to score a layup in a crowd, but Miller hit a triple in the waning seconds to make it 44-40 at halftime. De Colo fed Hines for a dunk to open the second half, and after Zirbes made a tough hook-shot, Teodosic hit a three-pointer. A layup from Hines extended the gap to 51-42 after exactly 3 minutes gone in the third. Jovic and Vitaly Fridzon traded triples, and after a timeout, Fridzon finished a fastbreak with a layup to push the margin to double figures, 56-45. Jovic nailed a three-pointer and Kinsey scrambled to make a floater at 56-50. 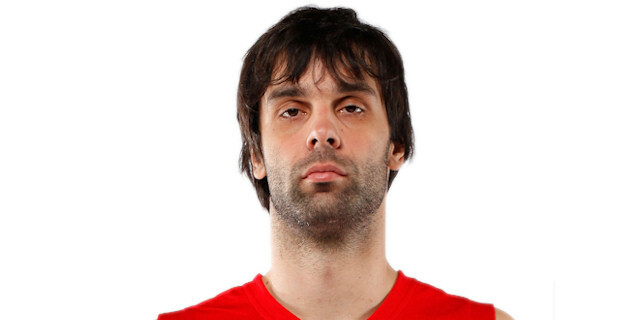 Teodosic drove for a layup and buried another triple, the 382nd three-pointer of his Euroleague career, moving him past Jaka Lakovic and into third place all-time in the competition this century. 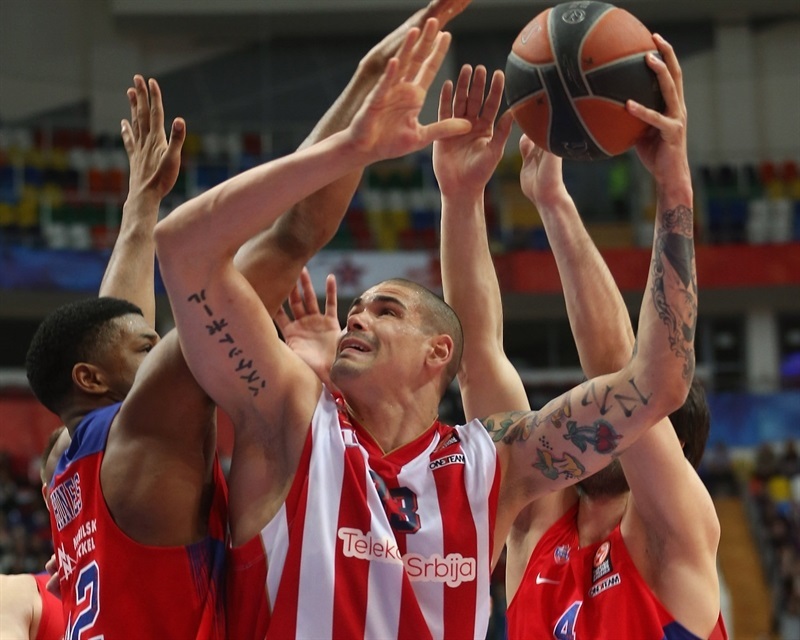 Miller made one from close range and one from long range for Zvezda to make it 61-56. In the final minute, De Colo hit a jumper, his first field goal of the night, making it 63-56 for CSKA after three quarters of play. A fastbreak layup from Simonovic opened the fourth quarter, but De Colo scored inside and Kurbanov from the outside to put CSKA up 68-58. Micic from long range and Stimac from close range got the margin down to 5 point again. That's when Higgins made a steal and fastbreak layup and Vorontsevich had a put-back to give CSKA breathing room at 72-63. After a timeout, Branko Lazic drove the baseline for a reverse layup and Jovic made a short jumper for Zvezda. Hines scored a tough jumper, then Teodosic found Kurbanov with a no-look pass for a layup at 77-67. Lazic hit a triple for Zvezda, but Hines beat the shot-clock with a runner and added a dunk in the lane after De Colo’s behind-the-back pass, as CSKA opened a 12-point margin and put the game out of reach. 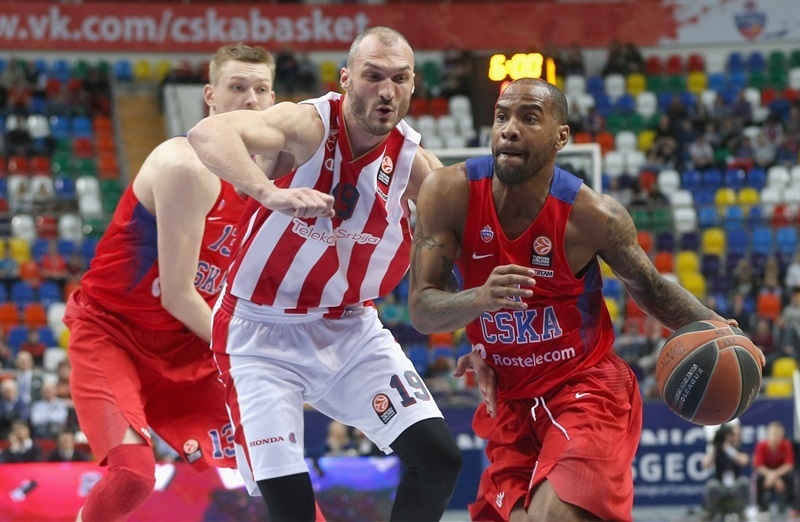 Kinsey drove for a dunk and Lazic rounded out the scoring as CSKA took a 1-0 series lead. "Congratulations to the team for taking a 1-0 series lead. We prepared the game knowing it will be a tough series and a tough game. Zvezda has athleticism and physicality. More or less, we were controlling the game. We had some good moments defensively and some bad. But overall, shooting over 70% for twos, and missing open shots at home, which is not often. These 7-for-20 three-pointers were uncontested shots. We are going to see the film and see other opportunities to score. They had 15 offensive boards, and that definitely bothers us. But we will work on it. Thanks to the fans who came to support us in this difficult series. Doctors will tell me if we will see Korobkov play in this series. We will see how he feels, we go day by day." "Not everything was according to the game plan, but this is something that happens a lot of times. 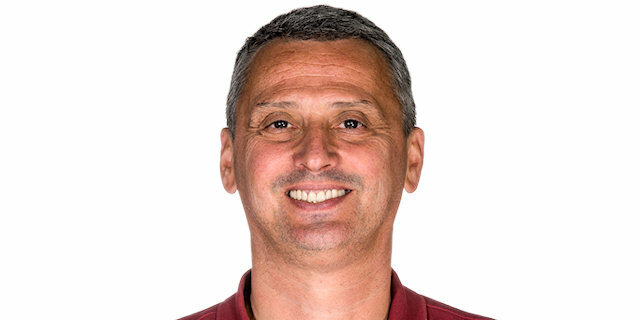 The fact that in the second half we put into the equation some more players, offensively and defensively, like Nando, like Kyle, like Nikita, like Fridzon – who in the third quarter was amazing how he helped us defensively and offensively – that was the key. We're going to watch the film. We've got one day to see what went wrong, what we did good. I already said before the series that it will be tough. All the playoffs are tough. Everything has to be solved on the court. We solved it on the court tonight, congratulations, be we are just 1-0." "Congratulations to CSKA on the victory. We started well, but CSKA rallied quickly. 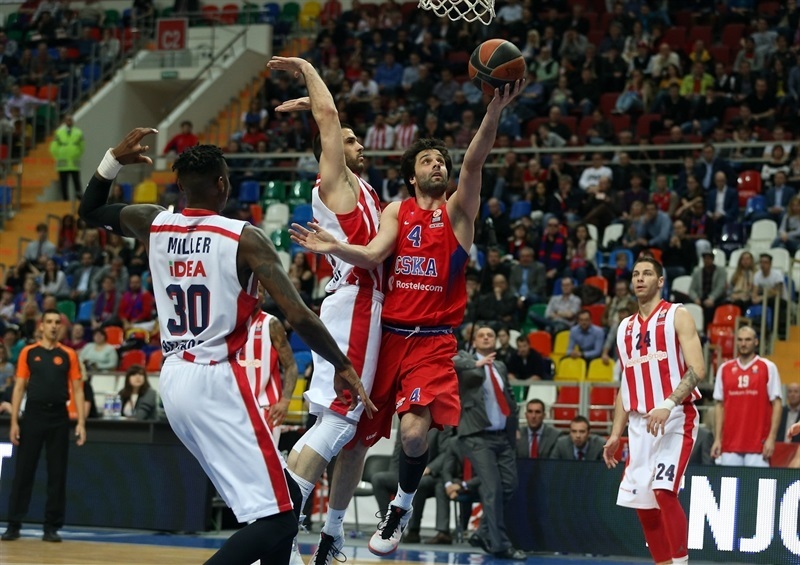 Teodosic gave CSKA confidence and the advantage. They built a margin, but we did not give in, and in those moments managed to stay in the game. The same happened in the second half. We continued to stay close and they managed to assume control and take a 1-0 series lead. We will try to play Game 2 good, as well. Tonight we had chances to get even closer. Late in the game, we had a turnover by Micic, we did not manage to get a defensive rebound soon after, but there were also other moments where we could have reacted better, and gotten closer." "I’m happy that we won tonight and my personal success is not so important. It’s playoff basketball so we expected it’s going to be physical and tough game. Crvena Zvezda has a lot of young aggressive players. So we need to expect that a new game again would be like that." "Maybe some people thought that our win looked easy, but it was not so. Zvezda played very physical, with a lot of contact on both defense and offense. It was good that we managed to stay true to our game. We don't have much time to prepare for the second game, but I expect Game 2 to be again a very difficult and very physical fight." 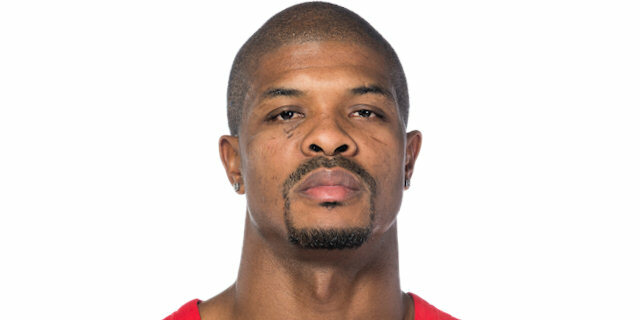 "I would say that this is CSKA in playoff mode. We played a very good game tonight. We need to rest tomorrow and to play one more good game and try to go 2-0 to Belgrade. We need to keep playing good defense and this is the way that we can win the second game, also." "Good game for us. CSKA showed quality and deserved to win. They played better than us. We were close the entire game, and we are surely happy with certain segments of the match. We have to turn to Game 2. There is little time to get ready. "